When supercar maker Koenigsegg now are taken over once mighty SAAB. They need to get employs, consumers and the corporate culture into one thing, a new car model (in witch history and future will be included). When a brand has got lost, it is often good to go back to its origins. 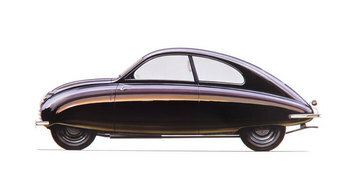 I suggest that they produce the first car they ever made, the so-called “ur-Saab”, model 92001. According to my taste one of the most beautiful cars ever made, and unlike today’s SAAB cars, it is completely unique. If they made it in a retro version environmentally-friendly motors and technology, it would easily fit in my garage, and most likely in those of the entire fan tribe that would then get something unique to unify itself around. They could easily build it with modern classical shapes from the Koenigsegg car. Then the employes and new and old customers can build fan tribes around the relationship, as between them in relation to the unique “Ur Saab” and Koenigsegg. It is the degree of uniqueness that determines how truly a brand is experienced. If they would build this two cars into one and use input from their fan tribe they would sell more cars than they could produce.